Main objective of this report is to analysis Marketing of Financial Product of Uttara Bank Limited. Report also discuss on determine the origin of Financial Product in Bangladesh and identify the judgment process of Uttara Bank to execute Financial Product. Finally analyze Financial Product of Uttara Bank and other Banks with respect to loan limit, interest rate, down payment, application fee and other charges. Also explain SWOT analysis and suggest recommendation on finding problems. The ultimate objective of the study is to gain real life exposure in the banking sector get a clear idea about Financial Product i.e. 1) Building habit of work and learning responsibility on the duration of internee. 2) Gaining knowledge about a banks source of fund. I.e. how a bank collect money from different sources. 3) To determine the origin of Financial Product in Bangladesh and in Uttara Bank Limited. 4) To identify the judgment process of Uttara Bank to execute Financial Product. 5) To identify the important criteria required for the attainment of. Financial Product. 6) To analyze Financial Product of Uttara Bank and other Banks with respect to loan limit, interest rate, down payment, application fee and other charges. 8) Matching himself with new people & environment. The modern banking system is an evolutionary growth right from the Middle Ages. The genesis of modern bank lay in the functions performed by the Merchant with wide reputation commanding confidence far and near could easily finance domestic and foreign trade. The famous merchant houses established branches to trade centers at home and abroad began to use credit devises to accommodate their customers Jagath Seth, for example, had his branch office in London in the 18th century. Even earlier the indigenous hounds, which finance domestic trade in India was the innovations of the local merchants. In this credit operation in these credit operations in the ancient merchant houses lay the germs for the development of the important credit instrument lately known as bill of exchange and these merchants were virtually forerunner of the modern exchange banks. The second ancestor of banks was the moneylender. People with surplus quite unaccustomed with money lending business and trade secrets could safely keep their surplus with the moneylender for investment by the letter on firms of a share of profit. The moneylender thus was an embryonic banker performing duel functions lending money and mobilization of savings. Exactly the modern bank does this as a lineal descendant of the ancient moneylender. The third in the chain of ancestors stood the goldsmith have safe vaults for the safe upkeep or their gold stocks. They were the embodiments of safety and security. Naturally, people with valuables and jewelers approached goldsmiths for safe custard. Initially the goldsmiths charged commission for safe upkeep. The practice later on changed as the goldsmith utilized the deposits for earning profits. A modern Bank then comes in itself the functions of all the there ancestors like the merchant it makes a specialty of financing foreign trade like the money lender collects savings and end like the goldsmith provides a convenient mechanism by which people can make payments to each other. The root of the UBL lies in the pre-independence days of Bangladesh, When a few brave and energetic Bangalee businessman, politicians and engineers established the” Eastern Banking Corporation ” with its head office in Dhaka on January 28, 1965. Indeed this was the first banking institution sponsored / owned fully by the Bangladesh in the Pakistan. Some of the members of the board of directors among others are : Late Mr. Nurul Amin, a politician, reputed indrastialist Mr. Zahurul Islam , Engineer Abdul Jabbar etc. The Eastern Banking Corporation started its operation on January 28, 1965 with 80000 shares of Taka 25 each and having an authorized capital of Taka 20,00000. This bank had an initial deposit of less than Taka One crore and paid up capital of Taka 14 lacks and 21 thousand .Later in June 1965, it was listed as one of the scheduled banks and in September 1965, it becomes member of the Dhaka clearing house. After independence , the Estern Banking Corporation LTD was nationalized in 1973 with an authorized capital of Taka 5 crores according to the Bangladesh Bank Act 1972 ( president order no. 26 of 1972) along with other banks in the country and was named as Uttra Bank. The purpose if the nationalization plan was to exert social control over the resources of the country. Later through the amendment of Bangladesh Bank ( Nationalization ) Act 1972 , Uttra Bank emerged as a public company on September 15, 1983 and named as the Uttra Bank Limited. The authorized capital of UBL was Taka 20 crores for 20 lacks of shares of Taka 100 each. The paid up capital of the bank was Taka 9,24,18000 including 5% government shares. The head office if UBL was located at 94, motijjheel C/A. As a consequence of deteriorating performance and falling to achieve Bangladesh Bank performance benchmark, UBL was declared problem Bank in 1993. However, after a long struggle , it could successfully come out a problem bank status in 2002. To be the best Commercial Bank in Bangladesh in terms of efficiency, capital adequacy, asset quality, sound management and profitability having strong liquidity. To build Uttara Bank Limited into an efficient, market driven, customer focused institution with good corporate governance structure. Continuous improvement in our business policies and procedures, cost reductions through integration of technology at all levels. The aim of the Bank is to participate actively in the socioeconomic development of the nation by operating a commercially sound Banking system. It provides credit to deserving borrowers and at the same time protects depositors’ interest and thereby earning more and more profit for the shareholders. In simple, to secure deposit from the customer and to lend the deposit again to customer is the Uttara business of Uttara Bank. Apart from traditional Banking activities, Uttara Bank facilitates its clients with extending credit to traders to boost up their business, to finance export import trade, to finance industrial sector and to support financially to different priority sectors. Financing small and medium enterprise with particular attention to export business and agro based industry has been focused. Small loan scheme for small entrepreneur is an innovation in the credit scenario of Uttara Bank. Here are the main activities of Uttara Bank described briefly. Uttara Bank is largely involves in commercial Banking operation. Besides providing quality services to customer, priority has been given to expand free-generating business and low-risk products. The Bank’s corporate division department has successful in developing project finance business, and the Bank has been involved in many key project finance operated in Bangladesh. The Bank has institute several initiatives in the corporate Banking department to improve asset quality. These initiatives include an independent review of all credit proposals by Risk Management Department and use of risk rating system to improve objectivity in the evaluation of credit proposal. The Bank’s retail banking business continues to be very active. The Bank has a network of Two hundred two (202) branches in the country. The Bank has sharply focused on key customer segments to profitable deliver a well tailored set of products and services through expanded distribution channel with high levels of efficiency and productivity. During the last three years, Uttara Bank has also created a few field sales and service organization for expanded customer reach. Board of directors is the sole authority to take decision about the affairs of the business. There are 12 directors in management of the Bank. All the directors have good academic background and have huge experience in the business. The Boards of directors hold meeting on a regular basis. There are different committees in the Bank for the efficient management of the Bank. The products and services of Uttara Bank Limited can be broadly classifies into tow groups i.e. depository products, loan products. These are given below. 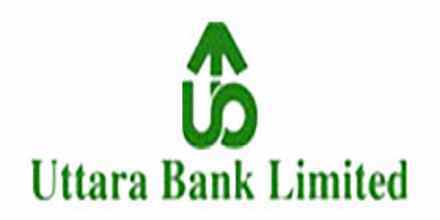 The Uttara Bank Limited is offering the following loan and advances products to the client for financing different purposes that fulfill the requirements of the Bank and have good return to the investment as well satisfy clients. General banking is the heart of the banking operations as it is involved in drawing deposits from the surplus units for creating assets of the bank; so that these assets can be utilized by providing loans and advances to deficit units, which is the major source of bank’s earning. This department provides everyday services to the customers and thus, it is also known as retail banking. The major functions of general banking are: accept deposits, provide cash by honoring checks on customers’ demand, remit funds, open account, issue checks etc. These functions are further elaborated in the subsequent paragraphs. Customer relationship with the bank begins with the opening of account and if builds the first impression of customers on the banking services. Thus, general banking has very important role of building customer attraction. The account opening is done on an application of the customer with due investigation of the personal accounts and identification of another account holder of the same bank. Any person except minor, insolvent, bankrupt, lunatic can open bank account. In UBL, transfe.1.2 Account r of account is allowed from one branch to another on request of the account holder duly justified. In this case, the original signature card is transferred to the new branch, when the manager approves the transfer, when customer desires so, the account is inoperative for long time, in case of customers’ death, insanity or insolvency or on court order. To close an account, the account holder must return the checkbook and pay taka 200 as closing charge. Checkbooks are issued to account holder on opening new account or as replenishment of old checkbook to old account holders against requisition on the prescribed application form. For security purpose, a security number is generated for every leaf of the book by the manager or authorized person and necessary entries are made in Check Issue Register. In case of lost checkbook, duplicate book is issued duly verified in respect of signature and prior information. Fixed Deposit Receipt (FOR) Account. Small-scale savers generally operate SB accounts and the account holders can earn interest at a yearly rate of 5.5% twice in a month depending on the monthly minimum balance. There is restriction on withdrawals in a week and large amount withdrawal is permitted with prior notice. Current account is a demand deposit account, where there is no restriction on withdrawals. This type of account is most suitable for the depositors who need to deposit and withdraw money frequently. Individuals, traders, import & exporters, general merchants, other business & non-business enterprises, manufacturers, government offices etc generally handle this type of account. This is being demand deposit and bank’s cost of handling this account is considerable due to frequent transactions, no interest is payable to the account holders on their deposits. Rather, the customers need to pay Taka 200 as incidental fee. When the depositors need not to make frequent withdrawals of their money, this type of account is justified as it earn interest @ 5.00% per annum, although lesser than SB accounts. The large companies, organizations, various government departments maintain STD accounts where frequent withdrawal is discouraged. This type of depositors normally use STID account to transfer excess money from current account in order to earn interest. This scheme was introduced along with other commercial banks in order to attract deposits from small-scale savers as an old age security with very high interest rate. But at present, this product/service has been discontinued as it incurs high cost of fund. => 3 and <6 8.25 Before 30 days – no interest. Every completed calendar month – at SB rate interest. =>6and< 12 8.50 Before 3 months – at SB rate. Before maturity but completes 3 months -at 3 months rate for 3 months period. =>12and <24 9.00% Before 3 months – at SB rate. Before 6 months – at 3 months rate for 3 months period. Before 12 months – at 6 months rate for 6 months period. =>24 and <36 9.25% Before 3 months – at SB rate. Before 6 months – at 6 months rate for 6 months period. Before 12 months -at 12 months rate for 12 months period. The above rates are applicable with effect from January 01 , 2004 for new accounts. Source: UBL Head Office Circular no. 730 of June 08, 2007. This can be noted that necessary excise duty and income tax @ 10% on interest is debited from customers earned interest and credited to respective Excise duty and income tax account for the government. Pay order is an instrument, used to remit fund within a clearing zone. Unlike check, there is no possibility of dishonoring a PO. The PO can only be encased through the branch that has issued the instrument. This instrument is prepared by the bank on payment of money in cash or check by the customer and in consideration for commission and necessary postage charges. For obtaining this service, a customer usually should have account with the bank issuing PO. Parties may purchase pays order by cash, by account or by transfer of money. PO is not paid over the counter (OTC); rather money is transferred to the payee’s account. DID, also called ‘Banker’s Draft’, is an instrument, issued by a particular branch, drawn on another branch of the same bank, instructing to pay certain sum of money. DID is issued in favor of a customer who has an account with UBL branch issuing DID. If DID amount is more than Taka 50,000, a test code is given on inter bank credit advice (IBCA) for security reason. On receipt of instrument by the payee, paying branch will make payment debiting Head Office account of issuing bank and crediting party account. A commission @ .15% is (minimum Tk 0.50) and postage charge of Tk. 20 is charged from the customer. DID cancellation charge is Tk 50. TT and MT differ in speed and mode of delivery, although now a days mail transfer is seldom used. For speedy rerpittacice of funds different modes of communication like telegram, telephone, Telex or Fox is used, although telephone is the most usual. No instrument is issued and the .paying branch through telegraphic instruction of the drawing branch makes payment to the customer. For MT/TT the drawee and the payee usually should have account with UBL. Inter Branch Debit Advice (IBDA) is prepared by the drawing bank and sent to respondent branch for response and reconciliation department of Head Office. A test number is given for security reason, which is verified by the respondent branch before payment. TT/MT is issued against cash, check and letter of instruction. A commission @ .15% and telex charge is debited from the customer for f his service. CDR is also an instrument, issued by a particular branch, drawn on another branch of the same bank, instructing to pay a certain sum of money to a person or his order and not OTC. It is similar to a PO, but differs in the manner that PO is a bill payable and CDR is a sundry deposit. This service is limited and the customer is charged with only a fixed amount for this service. Customers pay and receive bills as a result of transaction, be it for business, official or personal. Commercial banks are responsible to collect bills on behalf of their customers. There are two types of bills for collection: Outward Bills for Collection (OBC) and Inward Bills for Collection (IBC). If the bill is beyond the clearing range then OBC mechanism is used for collection. Customers deposit checks, drafts etc for collection along with deposit slip. Suppose, a customer having an account with Corporate Branch of UBL deposit a check for collection from Rajshohi Branch of Sonali Bank. Corporate branch will send the cheque to UBL branch of the Zone, who in turn will collect the cheque from particular branch. According to the Article 37 (2) of Bangladesh Bank Order, 1972, the banks, which are members of clearinghouse, are called scheduled banks. UBL is one of the scheduled banks and is a member of clearinghouse. The scheduled banks clear the checks drawn upon one another through the clearinghouse. This is an arrangement by the central bank where everyday the representative of the member banks arranges to * clear the checks. There is clearing department in every bank. This department receives checks, drafts and like instruments from its customers for the purpose of collection with a deposit slip over the counter crediting their accounts. Inward and Outward clearing of checks is done through the clearinghouse in Bangladesh Bank. Clearinghouse opens at 10:00 am and closes at 5:00 pm. Inward Clearing bills are drawn on UBL Corporate Branch, received, from other banks in the clearinghouse by their representative and settled through respective branches, main branch on which check/instrument is drawn and Bangladesh Bank. Outward clearing bills are instruments, drawn on the other banks by UBL Corporate branch. Standard I settlement process is followed through clearinghouse. This is the most sensitive section of any bank. This section deals with all types of negotiable instruments and is responsible for receipt and payment of cash. The vault, the most secured store for cash and instruments, store money enough to maintain liquidity of the bank and as decided by the manager of the branch. Cash officer and second officer of the bank are responsible for opening and closing and accountability of the vault. The amount of opening cash balance is entered into a register and after whole day’s transaction, the surplus money balance from receipt and payment of cash is stored in the vault. This closing balance is also entered into the register. On depositor’s filled in deposit-in-Slip, money is received from the customer and signs with bank seal and date and the receipt is entered into the register. The Second officer of the bank on behalf of the manager signs the slip and he updates his register. The customer’s account is updated through computer posting. The cash officer, on receipt of the check, verifies authentic of the check to prevent fraudulent encashment. He then verifies the account balance through computer operator, verifies signature with the specimen signature card, debits customer’s account through computer posting, verifies signature of the bearer of the check overleaf and if satisfied, he then sends the check to the cashier for payment. For just ified reason the cash officer may dishonor the check stating the reason and empowered to make a penalty of Tk 100, if dishonor is due to insufficient fund position. The making of loans and advances has always been prominent and profitable function of a bank. Sanctioning credit to customers and others out of the funds at its disposal is one of the principal services of a modern bank. Advances by commercial banks are made in different forms, such as, loans, overdrafts, cash credits, bills purchased and discounted, consumer credit etc. They usually grant short-term advances which are utilized to meet the working capital requirements of the borrower. Only a small portion of a bank’s demand and time liabilities is advanced on long-term basis where the banker usually insists on a regular repayment by the borrower in installments. i) Periodicity of bank loan. SOD is an arrangement where a borrower is allowed to withdraw over and above his credit balance in current account up to an agreed limit. The borrower can draw and repay any number of times, provided all that the total amount overdrawn must not exceed agreed limit. This loan is provided against 100% cash collateral. The loans and advances, which matures within 2 year or above, is called term loan. These loans are repayable in installments. UBL discourages f his type of long type of loans. Advance is granted to a client to perform a work order against the work order of government departments, corporation, autonomous bodies, reputed national/multi­national private organizations etc. The client’s managerial capability, equity strength, nature of scheduled work is judged to arrive at a logical decision. Advance is granted to a client against the security of FOR and Sanchayaloafra. The discharged instrument is surrendered to the bank along with a letter signed by the holder/holders authorizing the bank to appropriate the proceeds of the instrument on due date towards the repayment of the advance. A margin of 20% and 10% is kept for instrument of other banks and UBL respectively. Bank provides advances of different amounts to the staffs of UBL according to their rank/designation. This scheme enables the people of limited income to purchase consumer durables like cars, electronic home appliances, furniture where the borrowers repay the loan in monthly installments through post dates account payee checks. The maximum amount that the bank finances the borrower under this scheme is limited up to Tk 5.0O lacs while minimum is Tk.10,000 An amount equal to minimum 25% of the loan amount is deposited to bank as equity battered disbursement of loan. The purchased item is hypothecated with bank. These credit schemes are discussed separately in Foreign Exchange section. Account balances and past transactions. Study of financial statements and market feasibility of the industry/business enterprise. Report from Credit Information Bureau (CIB) of Bangladesh Bank. What type of business he/she is in. Documents on property, deeds etc. Justification of work order etc. Trade license, Vat/Tax compliance etc. The prospective borrower applies to UBIL for loan in prescribed form with relevant documents required for investigation of f heir creditworthiness and details of securities offered with value. The application in the form of proposal is then submitted to UBL Head Office, if the borrower is cleared from GIB of Bangladesh Bank, who maintains detailed credit information of the borrowers in Bangladesh (this is applicable, if the amount exceeds Tk 10 lacs). For withdrawing the loan amount, the customer opens a CID account where the loan is transferred on approval of the head office. UBL branches regularly monitor and supervise the activities of the borrower. Bangladesh is a third developing country. Per capita income of our country is very low. The middle class and the disciplined professionals cannot afford to buy their desired products when it is necessary. As a result, they cannot lift up their living standard. The various private sector commercials and foreign commercial Banks of Bangladesh come forward to fulfill the short term necessity of people. Their offering of “Consumer Credit Scheme” leads to accomplish the dreams and desires of middle class fixed income group by providing loan to purchase their necessary products. To improve the living standard of middle class income group. To provide loan that can be repaid in some easy installment. To contribute in the socio economic development of the country. Vehicles: Car, Microbus, Motor-Cycle, Jeep, Station Wagon, Pick up Van, Cover Van, Bus, Truck, Ambulance. Home Appliances: Air Conditioners, Fan, Refrigerators, Washing Machine, Microwave oven, Cooking Ranger, Knitting Machine, Mobile, Telephone, Furniture, Small PAVX system etc. Office Equipments: Personal Computer, Printer, Photocopier, Generator, UPS, Fax machine. Entertainment: VCD, VCR, DVD player, TV, Music system, Camera. Others: Home repair, Home renovation, and Home redecoration. Permanent employees of Government Bodies. Permanent employees of Universities, Colleges and Schools. Employees of Armed forces, BDR, Police and Ansar. Permanent employees of locally established and renowned Public Limited Companies. Permanent employees of Multinational companies. Permanent employees of Bank acceptable companies. S Professionals such as doctors, Engineers, Lawyers, Architects, Chartered Accountants, Journalists, and self employed person etc. For execution of CCS loan, Bank usually uses two types’ documents. One is application from and other one is charge document. Details of these documents are given below. The contents of application form for CCS loan of different banks are almost the same and these are as follows. Personal Details of Applicant (s): The applicant’s personal information is written down here. Loan Details: Amount of Loan, Period, Interest, Equity, Mode of Repayment, Security and Other charges are to be mentioned. Financial Details: Total assets, Total liabilities, Monthly income, Monthly expenses and all other financial details of the applicant have to be mentioned. Particulars of Guarantors: Details of Guarantors with their Job details are to be stated here. Quotation: Quotation contains the details descriptions of the goods, brand, model, size, manufacturer, price and details of supplier. Letter of Assurance: This is the assurance of the organization where the client work to pay the installment on behalf of the client in case of the client fails to repay. Declaration This the declaration of the borrower that all the information regarding the quotation of goods is correct and she agrees with all terms and conditions of the Bank. Certification of the organization. In this section the working organization will certify that the borrower is the employee of the organization. Photograph. Two copies of photograph are required for each client. Charge documents are set for documents that contain different rules, terms and conditions. If the borrower of CCS loan agrees with all these terms and conditions regarding the loan s/he needs to sign all the documents. If any disagreements or irregularity occurs in future, these documents will be exercised to suit against the borrower. Before the disbursement of CCS loan, clients must sign the following documents. The stamp duties needed for these documents are paid by the clients. Letter of Guarantee: This letter of guarantee is two sided. One is borrower side guarantee and another one is guarantor side guarantee. Borrower side guarantee consists of agreement of all terms and conditions of Bank as well as assurance of proper repayment of installment. Guarantor side guarantee is the undertaking by the guarantor to pay the installments in case of failure of the client. Letter of Hypothecation: It signifies that the goods/ items are hypothecated to the Bank. Demand Promissory Note: It is the promise of borrower to pay on demand to the Bank the overdue or total outstanding if necessary. Letter of Installment: In this document borrower promise to pay all regular and irregular installments in due time. Letter of Disbursement: This is the declaration of disbursement of Loan to the borrower. Letter of agreement: This is the agreement that the borrower is bound to pay all dues together with all other charges and the borrower gives the bank the authority to discharge the agreements any time due to the fault in borrower side. Letter of Authority: This is the letter the borrower gives the Bank the authority to debit the account if necessary. Consumer Credit Scheme program of different Banks is executed based on the policy of their own. Though the policy may differ from bank to bank, the main framework of this program is almost same in every bank. The overall process of this scheme is being described here with. At the very beginning customers come to the bank and pursue for the loan to purchase desired goods and services. Bank then inspects and verifies about the applicant. If the bank considers the clients suitable and competent for the loan, then the potential borrower needs to fill up an application form. The amount of loan varies from commodity to commodity. Different bank offer different amount of loan for different goods and services. Usually the ceiling of CCS loan is higher for vehicle. The Loan is disbursed for the period of 1 to 5 years duration. The time period of installment depends on the amount of loan. Security: For CCS loan, Bank demands security or mortgage. The only security of this Scheme is guarantor(s) of the borrower. The guarantors) may be one person or two as the Bank demands. The duty of this guarantors) is to give assurance to the bank that they will pay on behalf of the clients in case borrower fails to repay. The guarantors(s) must be acceptable to the Bank. Down Payment: Down payment or the borrower’s equity in the loan differ from bank to bank. This down payment means that borrower has paid a certain percentage of the total price of the commodity before disbursement of the loan. This percentage is usually between 10% and 25% for different commodities. The borrower has to open an account in the bank where the down payment amount and installment are deposited. Interest & Other Charges: Interest on CCS loan also differs from Bank to Bank. The amount of interest on Loan is ranged from 13% to 18%. Every Bank determines the installment amount of the borrower considering this interest rate along with repayment of loan. Few Banks charge penalty charges for defaulters. Other charges include service charge and risk fund, which are not refundable and differ from Bank to Bank. Consumer Criedt Scheme in Uttara Bank Ltd.
UBL emphasized little to introduce new product an services and continued with the traditional ones. However, after declaration of UBL as a problem bank. They endeavored to diversify its product and services through introduction of new schemes. Consumer credit scheme, Uttara house repair loan, express payment scheme, instant cash schemes one some of the examples, which helped UBL to increase their return. Consumer Credit Scheme is very much popular in Bangladesh. Most of the Private Commercial Banks are offering CCS program. Among them Uttara Bank Limited, Dhaka Bank Limited, HSBC, South East Bank Limited, AB Bank Limited, Eastern Bank Limited, Standard Chartered Bank Limited, Mercantile Bank Limited and Premiere Bank Limited are the prime contributors of such consumer loan. The comparison is made based UG/L. on products of UBL and the similar products offered by other banks. Household loan. Car loan, Education loan, Travel loan and Wedding loan are taken into consideration to compare the total CCS program of UBL. Among them Household loan and Car loan are the common products offered by the Banks. The aim to provide Household loan is to increase the living standard of people by supporting financially. Various Banks of Bangladesh come forward to assist their valued clients by providing the loan for household items. Almost all the Private Commercial Banks are providing household loan. Among them Dhaka Bank Limited, HSBC and South East Bank are to be considered the competitors of Uttara Bank Limited for their attractive offering. A car is a more than symbol of solvency & prestige. Having a car means not depending on the kindness of others to go where we and our family need to go. A car gives us the convenience we seek while protecting our families from the heat & pollution that saturate our streets. Indeed nothing represents freedom of movement more than a car. So the owning of a car is something different. To meet such demand, various Banks comes forward to offer car loan. Among them AB Bank Limited, South East Bank Limited and Mercantile Bank Limited are taken into consideration for comparison with Uttara Bank I Limited. Uttara Bank Limited charge the lowest interest rate of 13.5% where Mercantile Bank Limited facilitate its customer with charging an interest rate of 15 percent which is competitive in Car I loan market. South East Bank Limited charge 16% interest rate but Prime Bank Limited offers av very high interest rate of 14 percent. Education never ends – it is not said without reason. We are educated all our lives and getting an education not only is a great achievement but something that gives us the tools to find our own way in the world. Education is indispensable; little do we realize how much more it can bring to us in terms of worldly amplifications. Anyone can have propensity and the natural endowment for education. But one might not have the resources to finance their education. In this regard many Banks come forward to facilitate the students to make their dream come true by providing education loan. Education loans can realize education plans or the education plans of children. One can strengthen one’s own future and the future of one’s son or daughter with education loans. Uttara Bank Limited, HSBC, Eastern Bank Limited and South East Bank Limited provides an attractive Education loan for their customers. The Wedding of oneself or family members is usually one that people want to celebrate with pride and joy. When it is the most important day they want to give the best memories of the day to cherish. Wedding loan is idle to make sure that all arrangements are made well in advance and every comfort meticulously provided for. Unsecured Wedding Financing Loan Program is designed by Banks to help make that special day even more memorable. A very few Banks are offering such wedding loan. Among them Uttara Bank Limited, Bank Asia Limited, Eastern Bank Limited and Standard Chartered Bank Limited are a head to offer such Loan. The UBL inherited a weak performance base from a nationalized platform of banking > activities. The weak financial structure and lack of strong regulatory and supervisory regime of the country substantiated the already weak NCBs and PCBs. In fact, all the NCBs and PCBs established prior to early 1990s, had similar weak financial health. The situation of the banking sector were characterized by weak management directions, low profitability, huge bad loans and provisioning shortfalls, very low return on assets and equity till implementation of FSRP in 1990. Operational success of any organization is judged through the end result, i.e., maximum return or maximize the shareholders’ value. The operational performance directly influences the profitability of an organization. Thus, the weak performance of UBL is the result of management vision and directions, and organizational capabilities and competencies, other than the political and socio-economic condition of the country. In the subsequent paragraphs, UBL’s performance will be analyzed from the operational perspective. UBL emphasized little to introduce new product or services and continued with the traditional ones. However, after declaration of UBL as a problem bank, they endeavored to diversify its product and services through introduction of new schemes. TO Uttarara Bank Repair loan, consumer credit scheme, express payment scheme, instant cash schemes are some of the examples, which helped UBL to increase their return. UBL computerized its branches and established an MIS & Computer Department in order to increase the operational efficiency of the employees and better customer sen/ice. Accepting SWIFT membership is another achievement without which international business transactions would have slowed down. Refurnishing of the branches, installing’ air conditioning with dedicated generators in the branches enhanced the customer credibility and employee productivity. ”However, in comparison to international banking sector and local as well, the UBL’s computerization can be considered to be very elementary, since they do not offer any electronic transactions, rather use it in cash dispensing, posting of transactions, quick and accurate retrieval of reports. But IT based product and services are likely to dominate the financial market and UBL’s present computer infrastructure will not enable to introduce electronic product and services. The UBL management emphasized HIRD aspect and established its own Training Institute after mid 90s. Besides, employee and management development through training them in bank institutes in home and abroad. All these efforts helped UBL achieve acquire better skill to serve the customer, better decision-making and efficient management of businesses processes. The present management set up follows a participatory management system. The branches are given flexibility within the Head Office policy guidelines to forecast their budget encompassing maximum return. The banks operational efficiency largely depends on the leadership quality of the managers. They need io create a mix of young and old management to bring dynamism, as UBL’s management personnel comprised of mostly old but experienced, who follows a traditional way of doing things. But to increase competitiveness, traditional operational strategy may not be the most viable in the present competitive environment. From the experience it has been observed that UBL does not have a long-term goal. It also lacks required vision, i.e., where it want to go. If makes and implement policies on year-to year basis without due consideration to long-term perspective. There is no vision or strategic objectives highlighted in the annual reports. From discussion with different management personnel, it could not be revealed. The credit management aspect of UBL need improvement as the % of classified loans to total loans is about 30%, i.e., rated as unsatisfactory, where 20% is just marginal. They have their own policies of investigating the creditworthiness of the borrowers, but they do not objectively rate a borrower while sanctioning loans. They may follow any objective model supplemented by subjective judgment to select borrowers and also include the 6th C in their evaluation to incorporate factors like certification from local community, professional and business references. The weak financial condition of all the NCBs and PCBs (particularly first generation and denationalized) has improved considerably since 1993 after implementation of FSRP in 1990 as banking regulatory and supervision process has been tightened. The present supervisory effort of the government does not allow the commercial banks’ continued weak performance as they are monitored and rated through CAMEL rating system and restrictions are imposed on the banks by Bangladesh Bank. Thus, an upward trend of banks’ performance is observed, particularly in the 2nd and 3,d generation banks. The performance trends of selected PCBs are shown in Table 6. It is evident that the new banks perform better than the old banks. UBL, one of the large commercial bank, was in financial crisis since its inception. For continued weak performance it was declared as a problem bank in 1993. As a problem it under went through difficult time to restructure and take measures to improve the situation. It was suffering from huge classified loans, capital and provisioning shortfalls, management efficiency and asset quality. Bangladesh Bank imposed restrictions on LIBIL to improve the performance and the Board of Directors signed and Memorandum of Agreement with the Bangladesh Bank as commitment to improve situation. As a result, they undertook reform measures, increased the management efficiency. They modernized the image problem of the bank to gain people’s confidence on bank. They had to modernize the banks and attain competitive capabilities to show a new UBL and not the traditional one. UBL computerized the branches and expanded the foreign exchange operations to remain competitive in the present globalize world. UBL enhanced its asset quality and net earning of the firm, which allowed it to grow required provision for bad loans and capital reserve. As a result, in 2002 JBIL was removed from the problem status. JBL should devise a vision, mission and strategic objectives for the organization, not in a peace meal but as a integrated approach. It should craft a strategy that is best suited for UBL. UBL should build infrastructure for computerization and IT based products and services to sustain competitive advantage. UBL should increase its marketing efforts to promote JBIL’s products and services as new, and not the traditional ones.